As always, we’ll start with a blank Windows Store app project in Visual Studio. We’ll make a card that flips when the user taps it, so download the following images which will be the front and back covers of the card, and add them to the project. We will be flipping our card by animating the Y Projection property of our user controls, which will rotate the card around the Y axis. This will make one face of our card rotate around itself, and at 90 degrees, it will be invisible (because it will have a width of 0 this way, since we’ll be looking directly at its side). 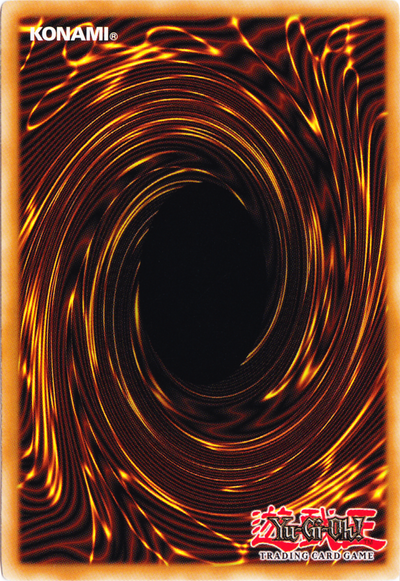 At that point, we’ll start animating the Y Projection property of the other side of the card, from -90 degrees to 0, which will show the other side of the card, resulting in a complete flip effect. So, in MainPage.xaml, we’ll create a Grid that contains two Image controls; one for the front and one for the back. 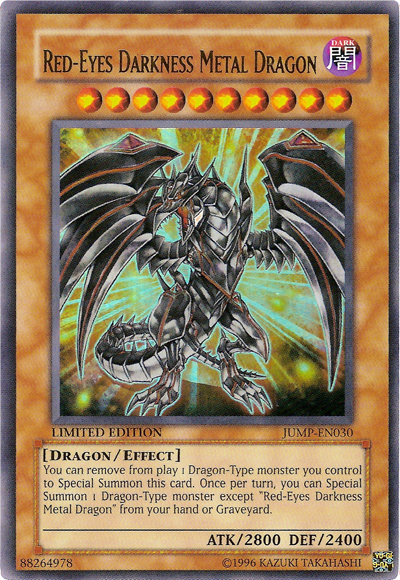 Note that the Image control that represents the front side of the card has a -90 value for its Y Projection property. Ok then, our next stop is Blend. Either open Blend and then open this project in it, or just right-click MainPage.xaml in Solution Explorer and select “Open in Blend”. – ImageCover (the back side) will have a keyframe with a Y Projection value of 0 at 0 seconds, and another key frame at 0.200 with a Y Projection value of 90. – ImageCard (the front side) will have a keyframe with a Y Projection value of -90 at 0.200 seconds, and another key frame at 0.400 with a Y Projection value of 0. (The seconds are not very important because you can change the SpeedRatio of the storyboard in the code. So you can make a 1 second animation and give a SpeedRatio of 2.5 to get the same results as above). You can press the play button of the storyboard to check if it works correctly. 🙂 Now, we’ll need to be able to flip the card back down too. We can’t reverse the animation in the codebehind and play it backwards, so instead we’ll create another storyboard that is the exact same reverse of our FlipOpen storyboard. And don’t try to create it manually, because Blend allows us to do this automatically with just a few clicks. Select FlipOpen storyboard, click the little down arrow next to the New Storyboard button, and select Duplicate. Rename the new storyboard to FlipClose, click the same down arrow again, and click Reverse. Note: If you try to play the reverse storyboard (FlipClose) in Blend, it will look weird. That is because you’ll be trying to flip down a card that is already flipped down. 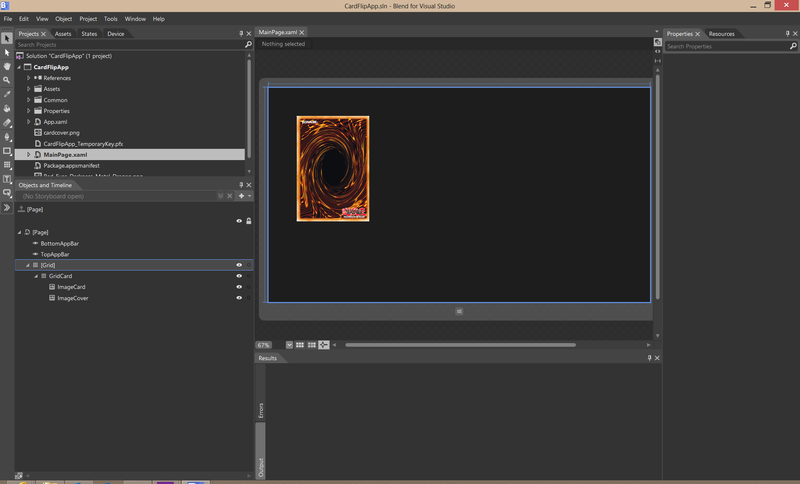 The animation will work correctly if you play it after the card has been flipped up, and we’ll ensure this in codebehind. Ok then, the animation is ready. Save MainPage.xaml in Blend and switch back to Visual Studio (it will prompt you to reload the project, say yes). Now we just need to set the Tapped event of the Grid containing the images, in order to play the relevant animation when the card is touched. Keep in mind that you need to build the project in order to see the newly added storyboards in codebehind. Now, I’m not going to create it step by step here, but you can apply this operation to any control you want, such as the Grid shown below, which flips to the next set of items the user has to fill (this is included in the example source code). This was an excellent tutorial – so nice and simple. Thanks! Thanks, but your source code link is broken.